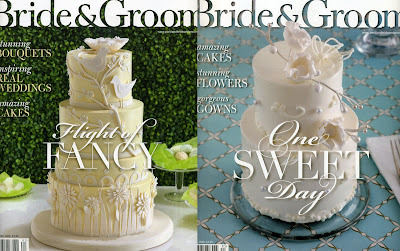 Twigs & Honey bride featured :: Congrats Stephanie! 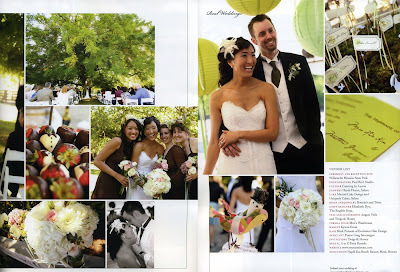 Congrats to Stephanie and her now hubby, Lee, on getting married recently AND for getting their wedding featured in Portland Bride & Groom's Winter 2008 issue, on newsstands now! 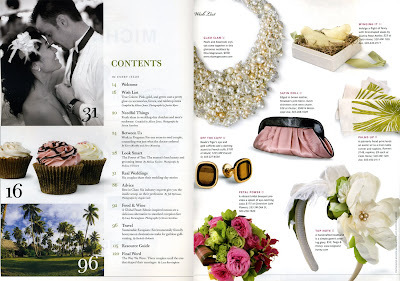 Stephanie looks radiant wearing her twigs & honey handmade headband. She is also wearing a gorgeous dress by Elizabeth Dye. 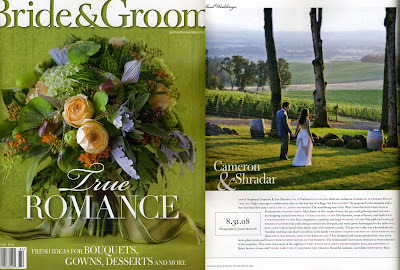 The wedding took place in Oregon and it looks stunning! I actually got to do an in person handoff, and met one of Stephanie's bridesmaids. You can view the headband here. 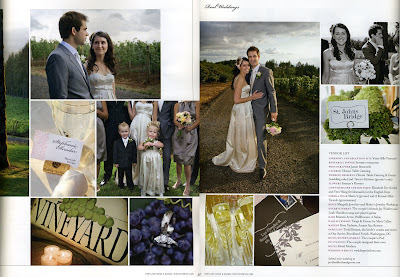 Thank you Stephanie and Lee for sharing your beautiful wedding to the rest of us! I also finally updated the "Press" section on the official twigs & honey website, which I meant to do ages ago. :) Take a look here and go to "Press". 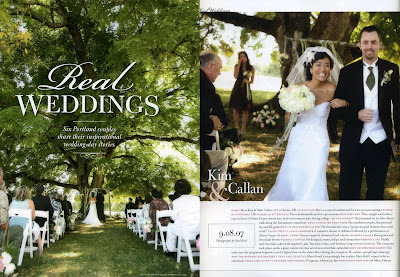 Ages ago, I said I would post the pictures of our wedding that was also featured in Portland Bride & Groom magazine. I finally scanned the pages, so here they are! Enjoy!